Well as the title says, Post ahead! @Lacie: Well hey, you look just like my imagination~! This is mine. Sorry for the bad quality. 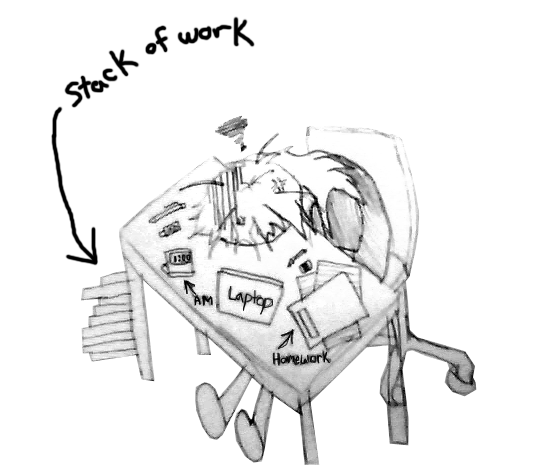 This headache is making me lazy T___T. Great hat & clothing style!! @Lilyse: Daww ~ That's cute >w<. @Leah: Omg that's so cute >w<. >w<. Same thing happened to me about what Lacie said. Lol, actually I have to agree with you. 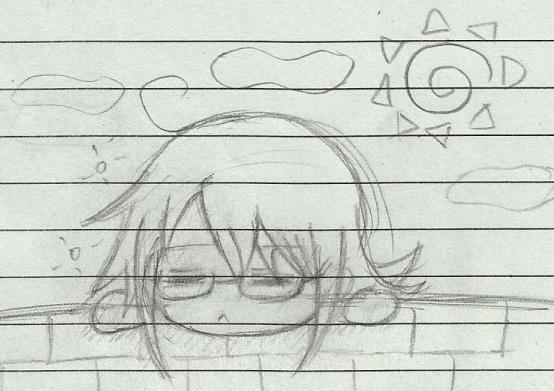 Wearing glasses is unconvenient at times T__T. @everyone: Awww everyone's is sooo cute!!! 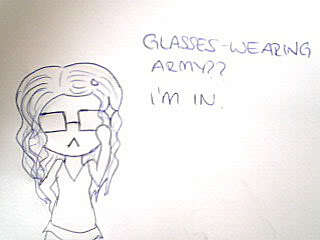 Unfortunately, I can't join the glasses-wearing army. 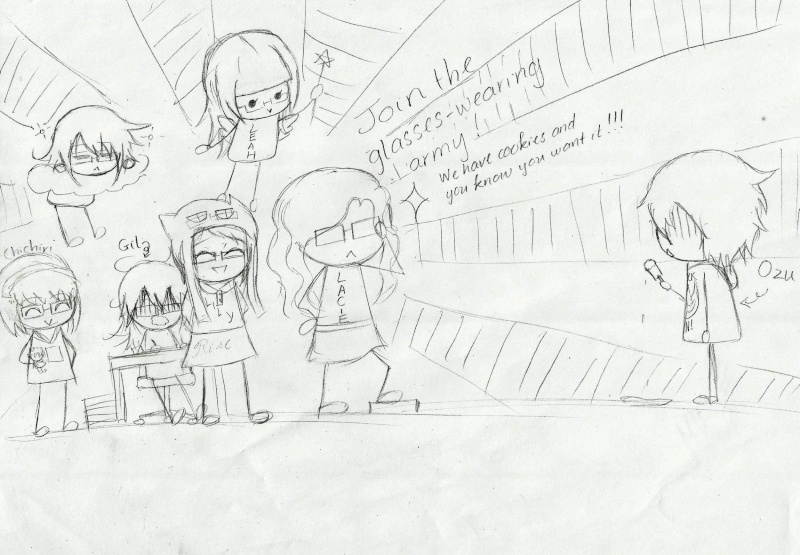 D: If there's an army for pale, creepy looking girls, I can join that. 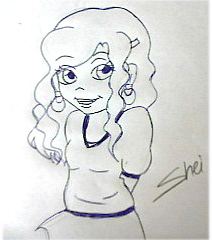 Bahh crappy 5 minute doodle. xD Doubt this looks anything like me. 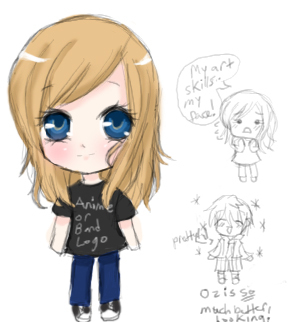 Your chibi drawing is so good!